Each of the principals of SEC Consulting, LLC have over 20 years of system implementation experience. During those years we have worked for consulting firms and software companies that focus on the public sector/utility markets. As a result, our “hands on” knowledge and experience from diverse perspectives provides significant value to our clients. We are veterans of the industries we service, therefore, our backgrounds allow us to quickly become an integrated and valued extension of our client’s staff. Ms. Mello has served as a Senior Project Manager responsible for directing the successful implementation of over 25 financial and utility billing systems. Her responsibilities included the planning for and directing of implementation teams from the initial system installation through implementation analysis, user training, and transition to production. Ms. Mello has been recognized several times by her clients for her outstanding professionalism and achievements. 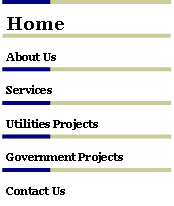 Her client base include utilities, municipalities and local government, school districts, and courts. Mr. Chase has delivered IT implementation services to the utility market for over 20 years. Specializing in CIS, he has effectively directed many utilities through the selection and acquisition, implementation and go-live, and post implementation support phases. Much of Steve’s success is credited to an unwavering commitment to client satisfaction, “in the trenches” management experience and sound foundation in organizational processes. Steve received his undergraduate degree at the University of Florida and his Masters degree in Systems Management from the University of Southern California.